Almost every now and then, we get to read about some of the major updates happening in SEO algorithm and many other significant changes in the marketing strategies via several renowned social media platforms. 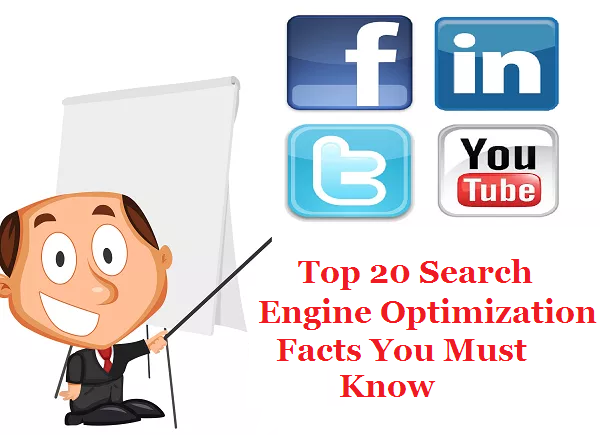 Thus, in the same frame of light, it becomes essential to put forth some of the most basic yet important must know Search Engine Optimization (SEO) facts for optimum website optimization. More so, with a view to maximize the Return on Investment (ROI) of the digital marketing investment, it is required to have a mobile responsive and adaptive website that is fully optimized with the latest SEO tactics. Google estimates that the Internet now contains roughly five million terabytes of data – but the search giant has indexed only 0.04% of it all. Google accounted for nearly 40% of all U.S. digital ad spending last year. Facebook’s share was about 8%. Lead generation (cited by 61% of corporate marketers) and Web site traffic (57%) are the top SEO objectives for marketers at enterprise companies in 2015. 54% want to improve traffic conversion rates. Just 24% cited attributing sales and revenue to SEO as a top goal. A URL’s number of Google +1s is more highly correlated with search rankings than any other factor. The top challenges in SEO are link building (cited by 41% of corporate marketers) and keyword research (39%). 91% of US Internet users search every month. Persuasive meta descriptions under 155 characters increase click through rates. The top organic result still captures about the same amount of click activity (32.8%) as it did in 2005. However, organic results that are positioned in the 2nd through 4th slots now receive a significantly higher share of clicks than in 2005–63% vs. 48%. 72% of marketers from enterprises rate search engine optimization (SEO) as successful in achieving marketing objectives like lead generation and increased Web traffic. Organic search drives 51% of all visitors to business-to-business and business-to-consumer Web sites, whereas paid-search drives 10% and social 5%. Ranking near the top of search results is great, but if you want the click, your title and description better be top-notch also. In 2005, searchers spent just under 2 seconds, on average, viewing each listing; in 2014 that has dropped to 1.17 seconds. Search engine optimization or SEO as it is popularized as is simply the process of ensuring that based on the visibility of relevant words and phrases, a website can be found on the search engine platforms such as Google, Yahoo, Bing and other search engines. The ultimate concept of SEO is striving to get high ranking for the website, thus making it easier for the search engines to understand and trace the content. 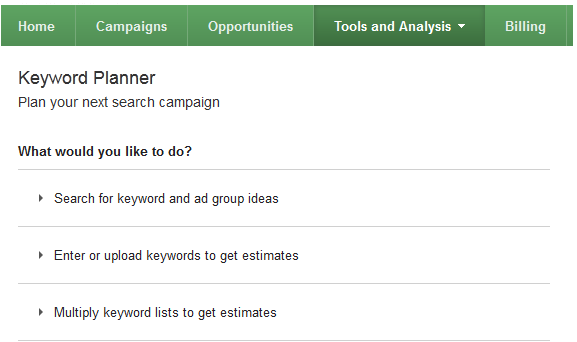 Google AdWords Keyword Planner helps in estimating traffic for keyword, developing new keywords list based on initial keywords and/or by combination of different keyword lists. UbberSuggest is created by an Italian SEO professional and is a free keyword suggestion tool, that helps in leveraging Google suggest and other suggest services. 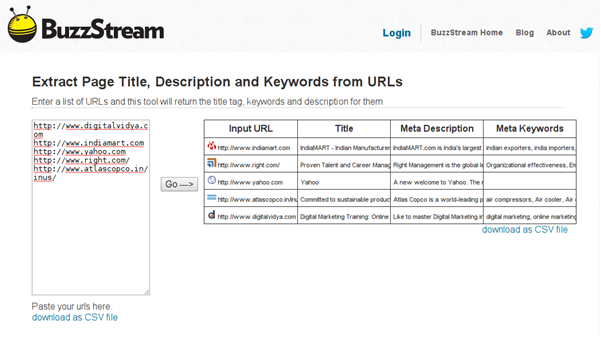 BuzzStream is a great tool to extract title tags, keywords and meta description. 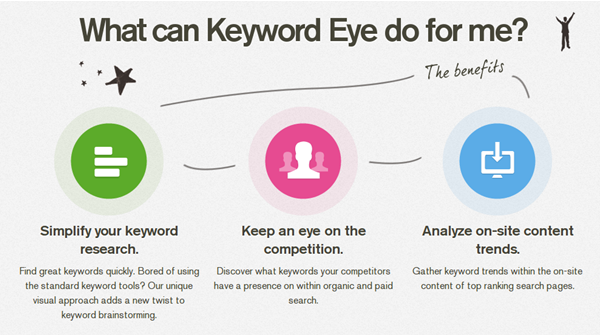 Keyword research is a free tool that helps in brainstorming keywords for PPC and/or SEO campaigns and identifies what people are looking for in their respective fields. 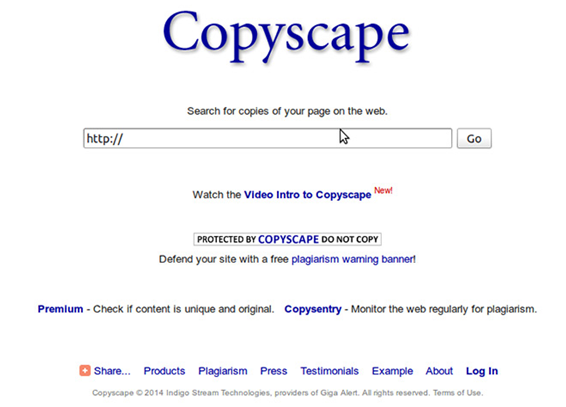 Copyscape is a plagiarism checking tool, which keeps a check on a plagiarised (copied) content on your web pages. 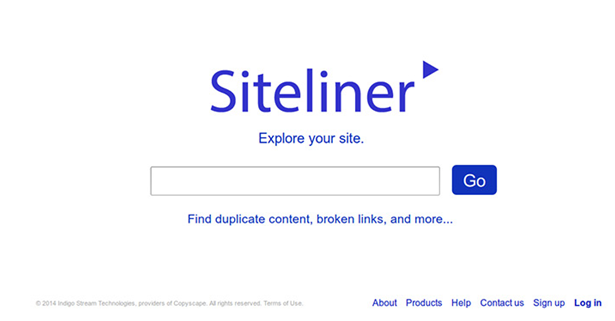 Siteliner keeps a check on duplicate content, broken links, skipped pages, XML sitemaps, internal page rank etc. and serves to be an effective tool for keeping a check on not just a single webpage but on multiple pages. Acting as an interpreter, SEO-Browser tool provides an opportunity to the user to analyze how search engine interprets your webpage. 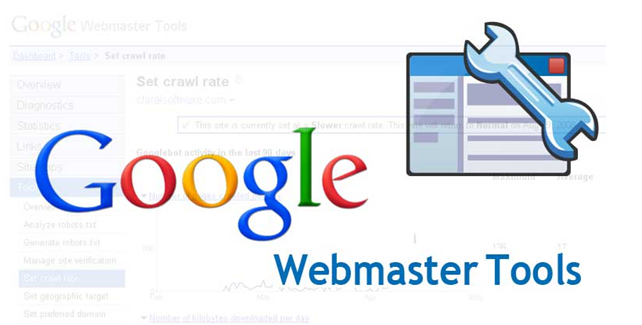 Google Webmaster Tool is a free tool, which allows webmasters/web developer to keep a stringent check on webpage’s indexing and helps them in optimizing it. 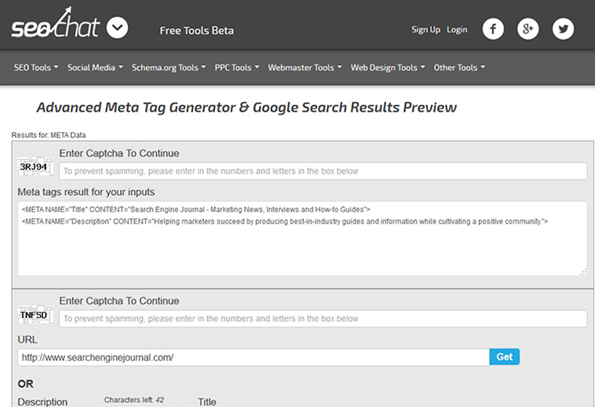 This tool allows the user to download the screenshot of the search list (generated through the tool), which further helps him/her developing strategies and works as a report. Google Developer PageSpeed Insights measures the performance of a webpage on a scale of 0 to 100 points. 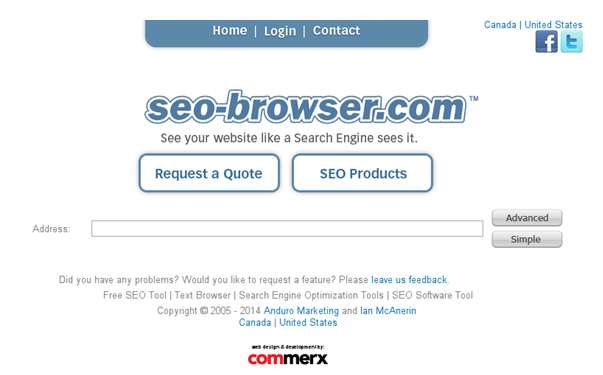 A webpage gaining more than 85 points is considered to be running smoothly, as per this tool. 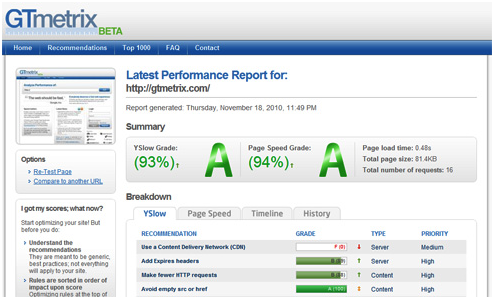 GTmetrix measures webpage’s performance based on the information, taken from PageSpeed and YSlow. 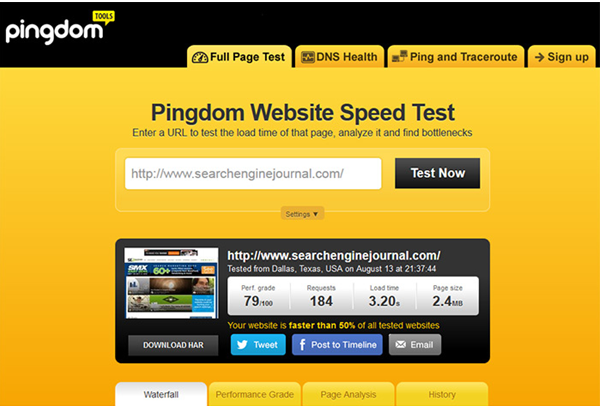 Pingdom Website Speed Tools helps in measuring the performance of a webpage by keeping a check of loading time of all the web pages. Feethebot is a free tool and a combination of myriad tools, which further analyze webpage’s performance. 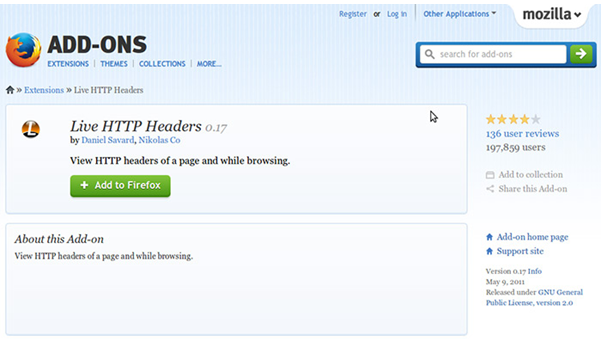 This is a Firefox add-on tool, which allows you to see HTTP header of a page, even while browsing. 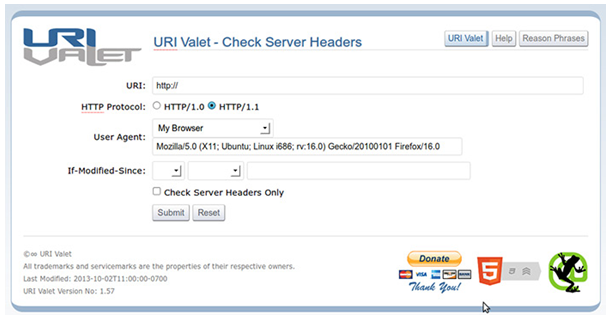 URI Valet is altogether a combination of 10 structured tools, which further helps in technical audits, site review, etc. This tool has a great feature of not just generating robot.txt files at a faster pace, but also allows them to exclude those areas of the webpage, which user don’t wish to get crawled by the search engines. In an organization schema, this tools work as a helping hand for SEOs and Web Developers as it provides them the access to mark-up the information on their site, which is further referenced by search engines. 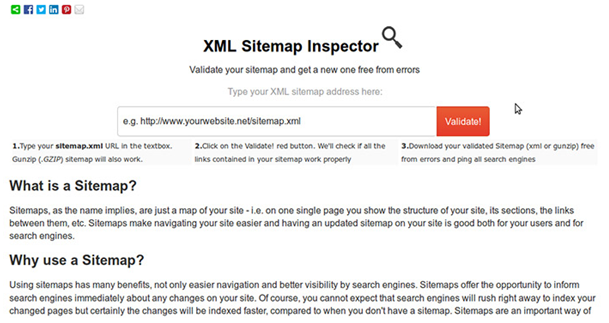 XML Sitemap Inspector instructs search engines to index that area of your webpage which you wish them to index, through robot.txt file. Site Condor tool is used for extracting on-page data, doing analysis of aggregated results and keep a check on how crawling should run. 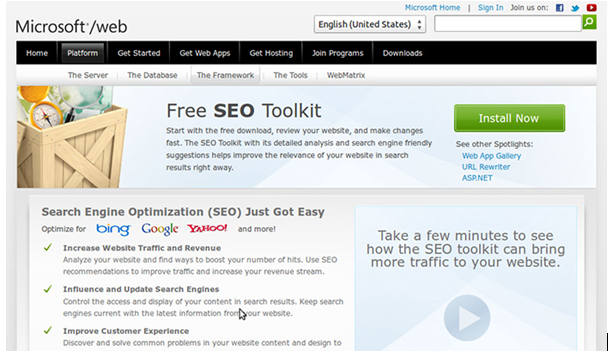 Microsoft Free SEO Toolkit provides detailed report of the SEO audit and helps in analyzing web pages and identifying areas of web pages, which can be further be optimized and help in enhancing the traffic. Search Engine Optimization or SEO as it is profoundly known as is a crucial measure for any website to improve its ranking. It will ensure that based on the visibility of relevant words or phrases, a website can be found on the search engine platforms. The ultimate concept of SEO which is to strive to get high ranking for the website, will make it easier for the search engines to understand and trace the content. Thus, to keep pace with the ever-changing and evolving trends, there is a need for businesses to get acquainted with the SEO tips and tricks to be able to exploit the opportunity to the fullest. The prime objective of SEO is to increase the traffic which ultimately brings conversions by ranking very high search results based on targeted keywords. In the same frame of light, the concept of SEO must be applied keeping in mind certain facts such that the SEO tips turn out to be beneficial. According to a report by HubSpot, 61 percent of Internet users research products online. Google tailors your search results based on your history and location unless you tell it not to in your search settings. Using numbers in the title or headline of the post can have a major impact on the Click-through-Rate (CTR). For instance, use 7 instead of seven. According to Search Engine Journal, 70% of the links search users click are organic results. Websites should be optimized for mobile traffic. Search Engine Giant Google recommends that the configuration for mobile optimization is responsive design. When doing organic search optimization, focus on Google. And what works for Google generally works for Yahoo!, Bing and the rest of the gang. Do not buy links, instead make efforts to earn them. One way to manage the flow of PageRank though your site is to be strategic about internal linking, especially in global navigation. A good general guideline for Title tags is that they consist of should be 6-12 words — no more than 70 characters. Google will cut off your Meta Description at around 156 characters, so craft it accordingly. Both your Title tag and your Meta Description should contain high-priority keywords. It is also recommended that no word be used more than twice in a Title tag. 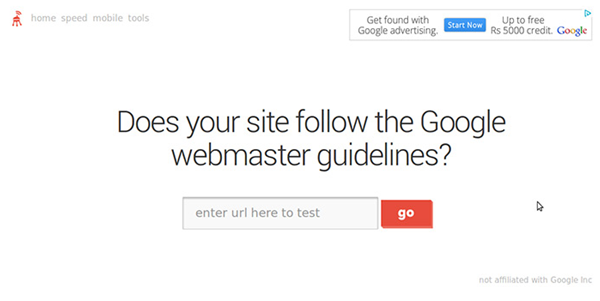 Every site should include an HTML Sitemap. Always end a blog post with a call to action to get readers to continue to engage or interact with your business. Graphics are queen. Thus, adding graphics increases your Click-Through-Rate (CTR). Be visually engaging! Infographics are worthwhile. Quality infographics are as many as 30 times more likely to be read than text articles. Social media is not an optimization-free space. Just as you optimize a standard web page, you can optimize an individual profile or business page. Hashtags get your content in front of the new followers. It is definitely in your best interest to use hashtags strategically, as they are what bring brands and users together. Facebook Pages can be optimized for search. Besides, this even LinkedIn can be optimized according to the needs for research. Also, Google+ can be optimized for search. 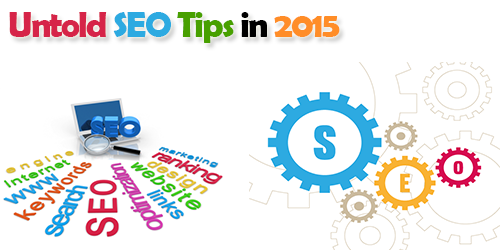 Search Engine Optimization (SEO) is undoubtedly a crucial and integral part of any digital marketing strategy. If you wish to know what are the most important SEO factors that need to be taken into consideration for 2015, then you must know about the ‘changing trends in SEO in 2015′, ‘the established best practices for on-page SEO’, ‘off page SEO strategies’ and much more. Learn through the webinar led by Sarvesh Bagla, CEO & Founder, Techmagnate.